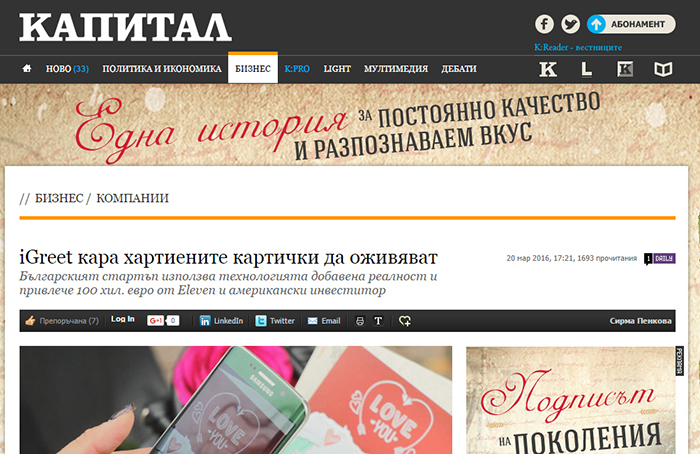 We’ve been featured in Capital, which is one of the most serious and trusted media in Bulgaria. 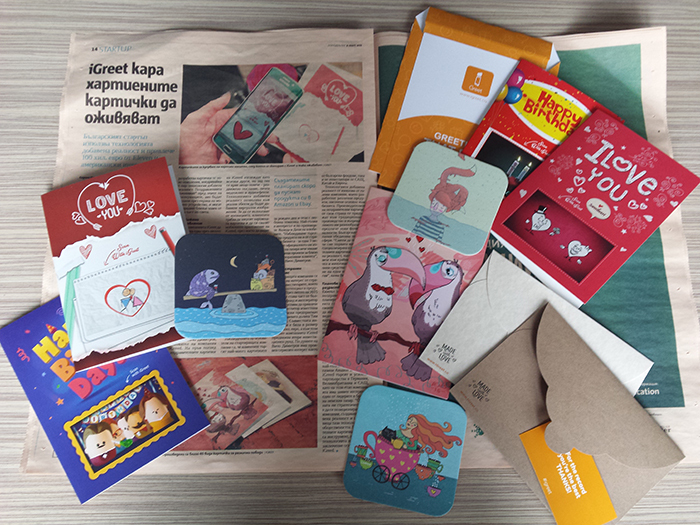 Although iGreet was established in the summer of 2015, the company has already grabbed the attention and its greeting cards can be found on the shelves of many Bulgarian bookstores and other gift shops. If you missed the Capital’s newspaper from 21st March, you can read the full article on it’s website.